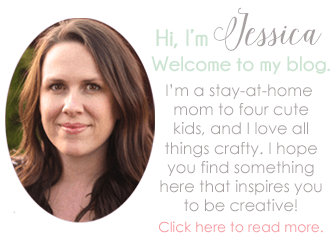 Home / Embroidery / Embroidery Pendants – How to put embroidery in a necklace. 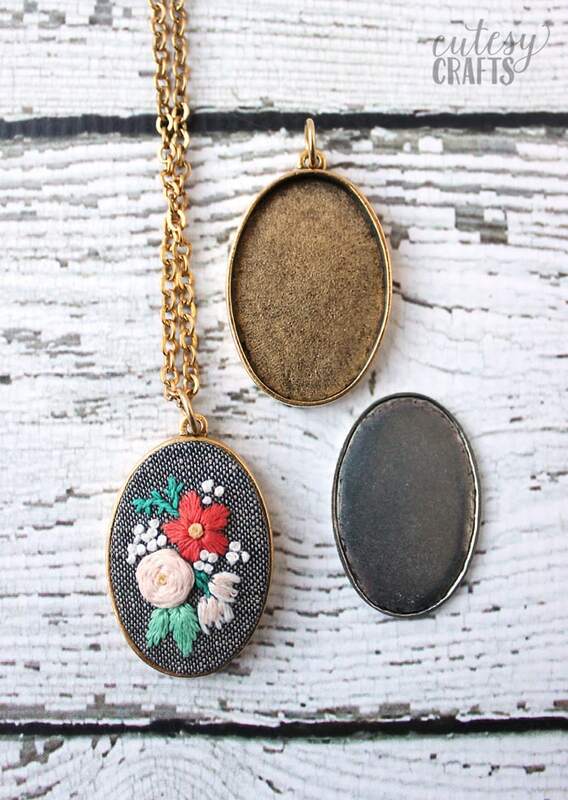 Embroidery Pendants – How to put embroidery in a necklace. 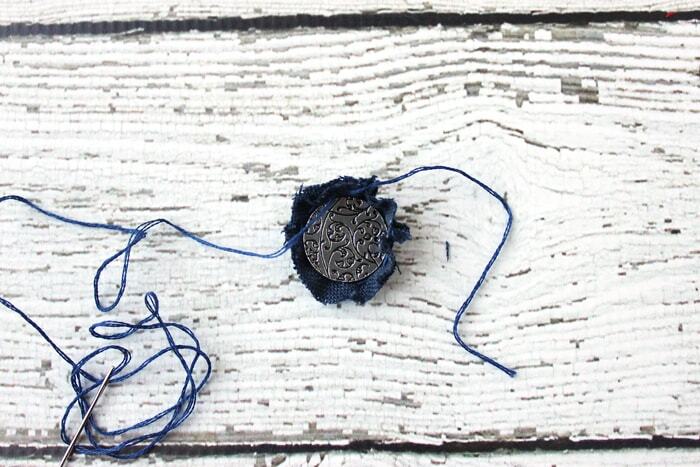 I searched high and low for the perfect way to put embroidery in a necklace. 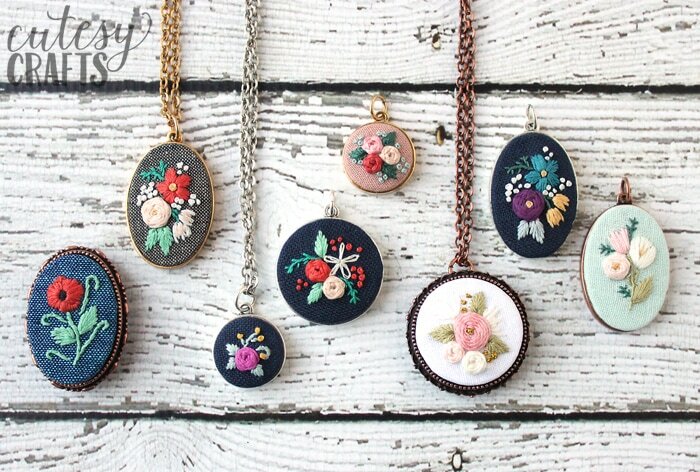 I finally found a way, using these embroidery pendants. So there’s no confusion on how to use them, I wrote up a little tutorial and filmed a video to show you. The video is at the top of this post. If you are using an ad blocker, you may need to disable it to see the video. 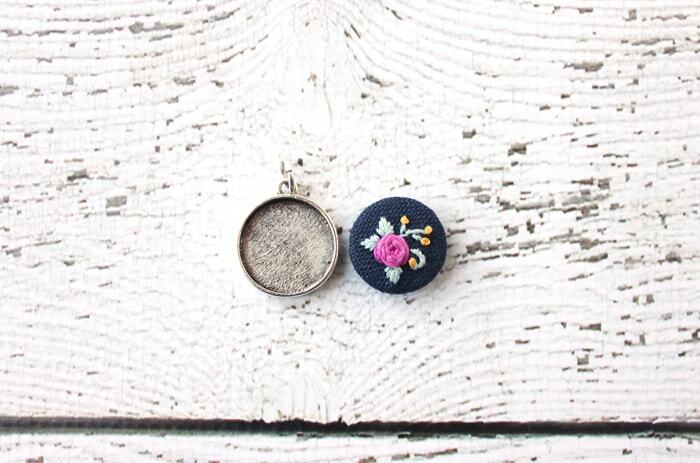 I’m stocking a few of these embroidery pendants in my etsy shop, so head over there if you’d like to snag one. They are wonderful quality and plated in real gold, silver, or copper. Metal embroidery necklace frames like this can be hard to find, so I wanted to make sure you all are able to get them. I’m SO excited! 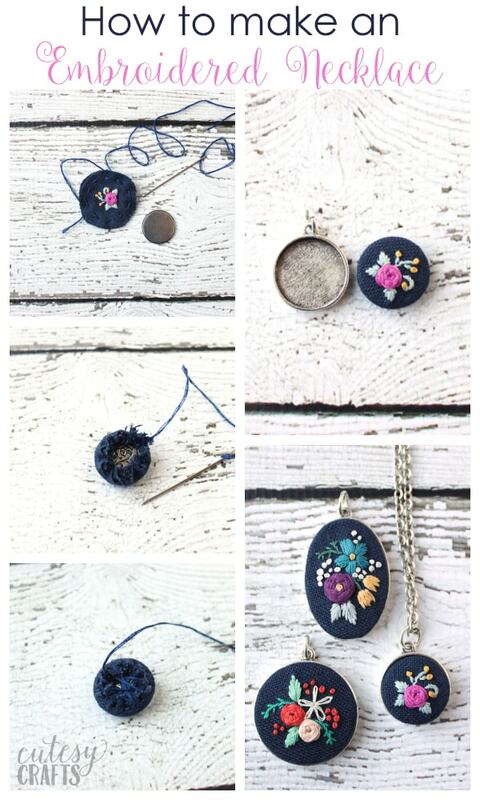 embroidery pendants kit – Get them in my shop here. embroidered fabric – Get some free hand embroidery necklace patterns here. 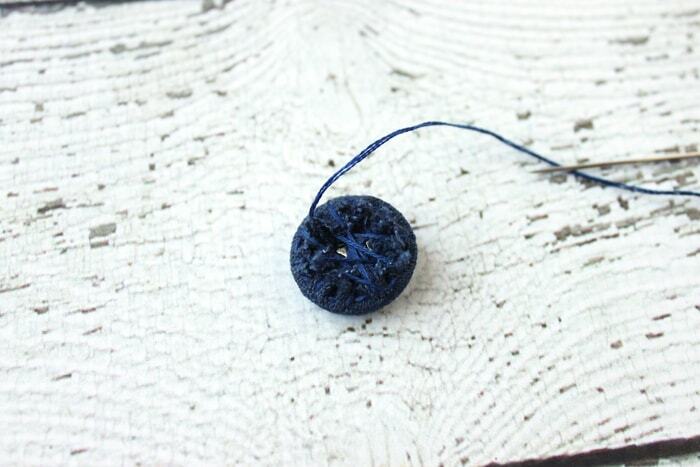 Embroider design no bigger than the pendant tag. Spray with a fabric protector spray if you would like to help it stay clean. 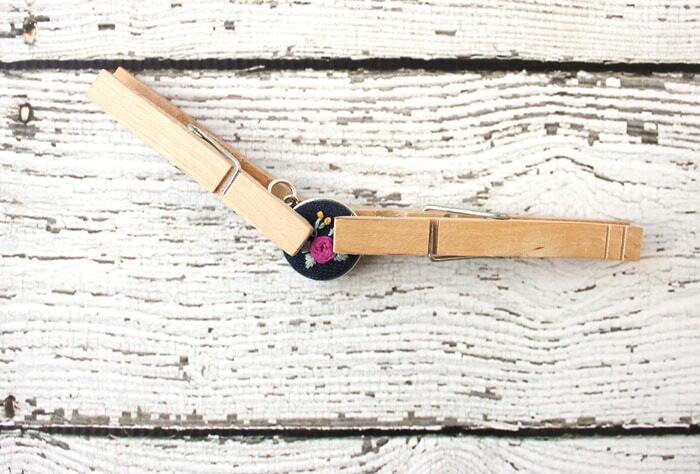 Place your tag insert on top of your design to gauge how much fabric you will need. Cut around the tag leaving 1/4-1/2″ extra. 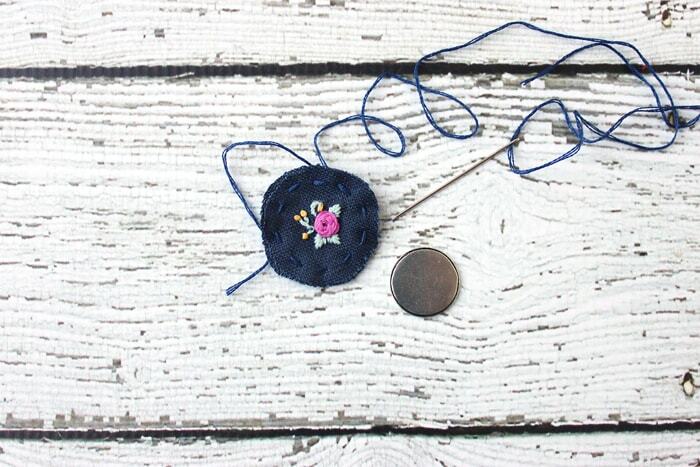 Use 3 strands of embroidery floss to stitch a loose running stitch around the perimeter of the fabric. Be careful not to get too close to the edge. Leave tails at both ends, about 3 inches long. 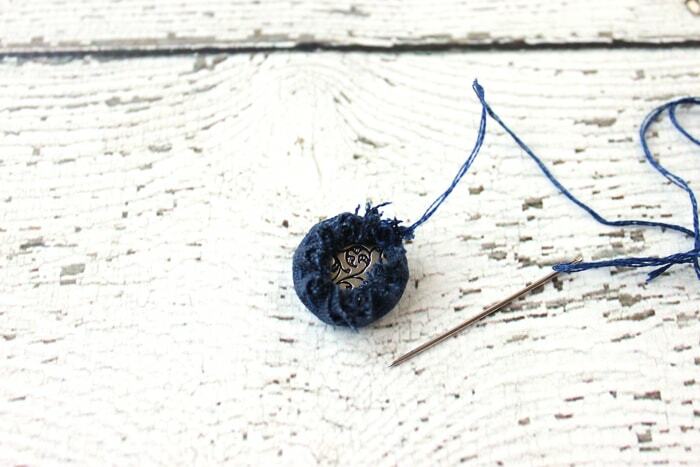 Gently tug the tails of your floss to start gathering the fabric. This will be sort of like a draw string bag. Put the pendant tag inside. Pull the tails tight, center the embroidery, and tie the ends together. Stitch across the pendant to smooth any bumps. This is a little hard to explain, so make sure to watch the video. Put a small amount of glue in the bezel pendant setting and spread it around. Not too much, or it will seep out the sides. Place insert with embroidery on the glue. Use clamps to keep it in place until the glue dries. I just used clothespins since that’s what I have sitting around.. If you’d like to add a little more dimension to your piece, or if your fabric is very thin, you can put a piece of felt inside or use another layer of fabric. I like to use two layers so the metal doesn’t show through my fabric, but that can also cause problems with having too much fabric gathered in the back. Experiment with some scraps to figure out what you like. That’s it! Put it on a chain, and you’re done. 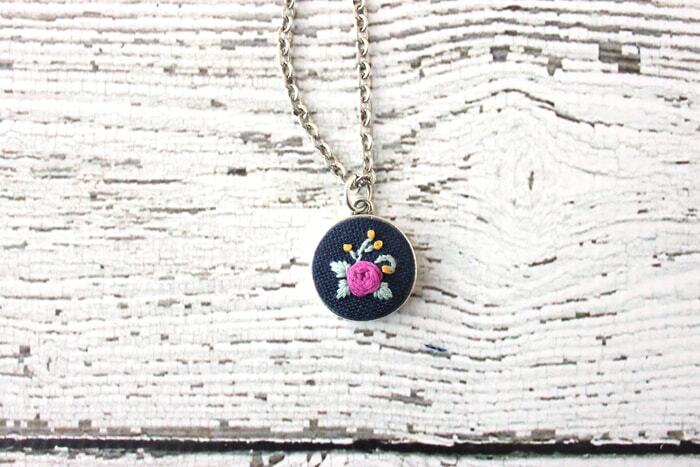 Make sure you stop by my etsy shop to see what necklaces I have in stock, and get my free hand embroidery necklace patterns so you can make your own. Also make sure to check out my other hand embroidery designs and my How to Embroider for Beginners series. It’s full of some really great tips! Do you have types of fabric you prefer for this project?